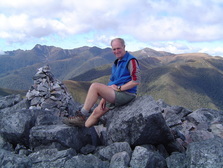 Kahurangi Guided Walks began in 1997. It was founded by John Croxford and for 18 years, John began the tradition of showing people the around the Kahurangi and Abel Tasman National Parks. In 2015 John retired and Jenni Kingston and Thomas (Taj) Rabosky took over the business. Jenni became the sole proprietor from April 2018. ​Jenni is passionate about the outdoors and her enthusiasm is infectious. Having been involved with Kahurangi Guided Walks since 2007, she has extensive knowledge and understanding of the area and its features. We only employ local Golden Bay guides, porters and drivers who intimately know the area which they all call home. Everyone brings their own stories and knowledge of local history, weather, plants and birds to the track to make your adventure with us memorable and unique. We source fruits and vegetables (whenever possible) from local, organic growers in Golden Bay ensuring you are fed with the best from the Bay during your walk. Kahurangi Guided Walks cares for our natural environment and endeavours to run a sustainable business, as illustrated on our sustainability page. Most of our trips run with a smaller number of people. Our maximum allowable group size is 12 including guide and porter, but we most often run trips of 5-8 people. We can take groups as small as 2 people and (for a special premium) offer personalised one-person adventures. Contact us with your requests and we will customise a solution for you! 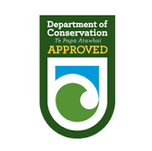 We are licensed (Concession No CSN 260) by the New Zealand Department of Conservation to conduct guided walks having met their high environmental and safety standards. All care is taken to respect New Zealand’s unique wildlife and to minimise our environmental impact. Our commitment is to give you the best possible experience in complete safety. 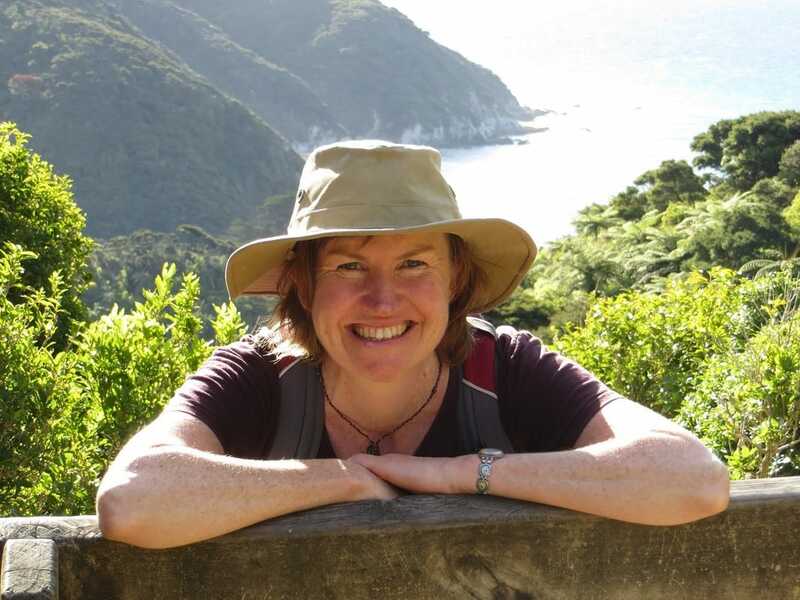 Jenni Kingston has been guiding with Kahurangi Guided Walks since 2007. As she grew up in Golden Bay and has been tramping in this part of the world since she was seven, she has a wealth of local knowledge, entertaining stories and experiences to share with you. She has inherited her love of walking from her father Derry (who has become a bit of a legend on the Heaphy Track in recent years). Jenni loves introducing people to new places and is always ready to offer her assistance whenever it may be required. When she's not out walking, she is at home enjoying time with her 5 year old daughter. ​Antony comes from a background of theatre, movement and dance. He grew up in Nelson, playing on the tidal flats and exploring the ranges behind which fostered his love for the outdoors. Since moving to Golden Bay 10 years ago, his connection to conservation and ecology has become a significant focus. 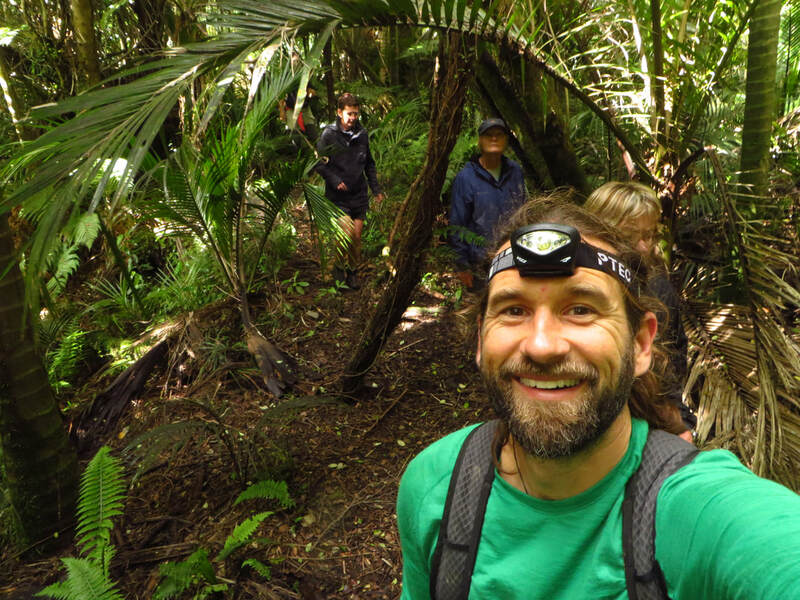 He is involved in the Onekaka Biodiversity group, nature based youth events and more recently joining the Kahurangi Guided Walks team. ​Sophie Trueman was raised in the Wairarapa exploring the wilderness of the Tararua ranges and the rugged coastlines. Golden Bay has been home for the past two years after spending much of her early twenties travelling Aotearoa, Asia and Australia. She has spent time as a youth outdoor adventure leader, kayak guide, nanny, wool handler and hospitality super star, guided by her love for adventure and challenge. Sophie now spends her time creating a balanced lifestyle by growing her own food, working at the MAD café, volunteering for Luminate festival, keeping bees and selling honey at the local market. ​​Originally from Golden Bay, (Sherpa) Guy now lives up the Wangapeka Valley where he helps in the running of a Retreat Centre. Guy enjoys a contemplative outdoor life. He believes in the fundamental laws of tramping. Recently for a hobby he has taken up marble rock sculpting . Toni Hutton grew up by the sea near Dunedin and as a teenager, roamed the mountainous terrain of the Wakatipu, surrounding Queenstown. After an opportunity-filled financial career in Auckland and London, she made her happy home in Golden Bay, nestled between two fascinating national parks. Here she grows food, tends chickens, keeps bees & teaches yoga. She has been guiding since 2016, as well as a year as a DOC ranger on the Heaphy Track. She is passionate about people’s connection with nature, great food and New Zealand’s biodiversity. ​Thomas (Taj) Rabosky lives in Clifton (Golden Bay) and enjoys mountain biking, tramping, fly fishing, and exploring the beautiful New Zealand back country. Taj has cycled around much of Europe and North America, tramped through Northern India and Nepal and lived with indigenous people throughout the world. He guides and porters on the Heaphy, Cobb Valley, Old Ghost Road and Abel Tasman tracks. In the off-season, Taj runs a charity "Golden Bay Friends of Nepal" providing assistance to Nepalis devastated by the 2015 Gorkha earthquakes. Helen grew up on a dairy farm in Canterbury and spent her summers on Banks Peninsula. She is passionate about being outside, specifically with her hands in the soil growing organic vegetables. Since moving to Golden Bay following the Christchurch earthquakes, Helen has developed her skills around organic agriculture, and most recently spent 18months in Quebec, Canada. Helen enjoys bringing her love of food, people and being outdoors together in her work for Kahurangi Guided Walks. Tess is fourth generation from Golden Bay and is continually inspired by the local mountains, coast and bush. She loves helping others get out into nature and worked for 10 years on DOC Takaka's front desk giving out first-hand information about the nearby walks and huts, including the Heaphy and Abel Tasman Coastal Tracks. 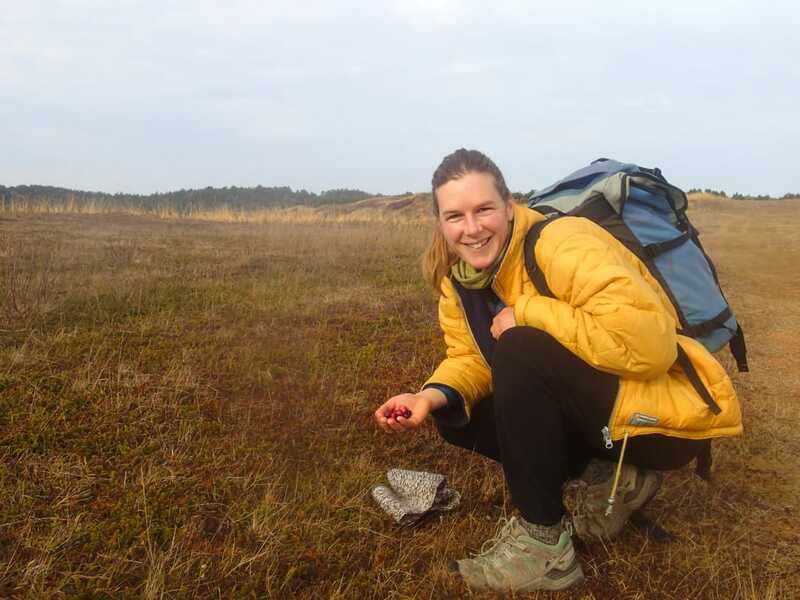 Besides assisting Kahurangi Guided Walks when needed, Tess currently works as a part-time DOC biodiversity ranger. She is also a face-painting, balloon twisting clown at community events and enjoys her garden. Amiti spent her childhood in Hawkes Bay enjoying the outdoors, particularly scuba diving in the ocean and swimming in the rivers. She spent many years traveling around the world, hiking in the Himalayas, climbing in other parts of Asia, and working as an acrobatic street performer and clothing designer/importer. Feeling a deep connection with the Golden Bay environment, Amiti decided to move here in 1990. When she's not playing in the outdoors, Amiti designs and makes clothing and up cycles furniture. She is excited to be a guide for Kahurangi Guided Walks, getting to meet new people and share this beautiful part of the country with them. Don't forget to check out our reviews, TripAdvisor and Facebook pages!